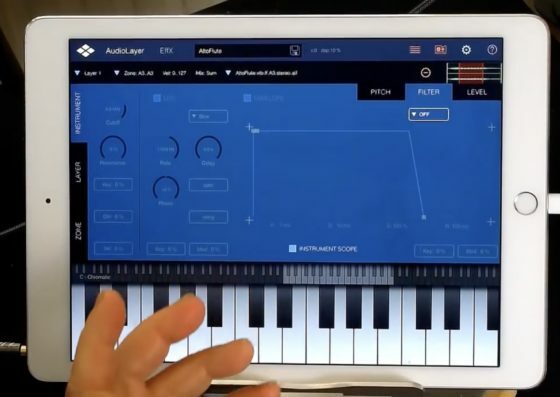 Multisamples MAX: Virsyn Audiolayer does massive sampling in layers – Viele Sample Schichten und viele Samples? 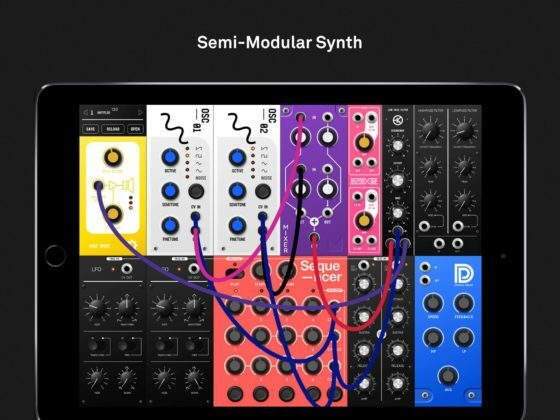 Hiermit! 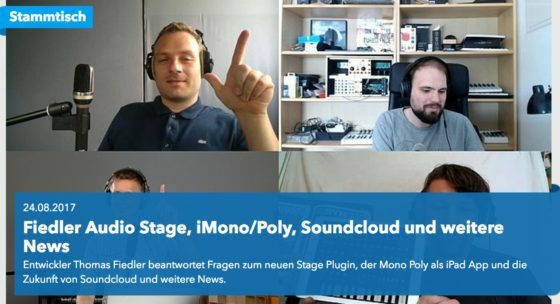 Korg Mono/Poly App iOs & Gadget – klingt gut, 32 Stimmen/ 32 Voices. 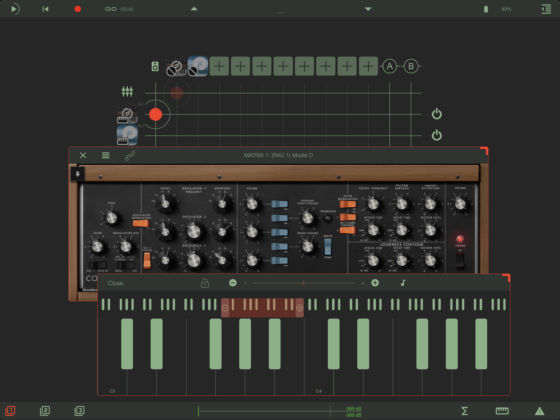 Moog Minimoog Polyphonic iOS App. 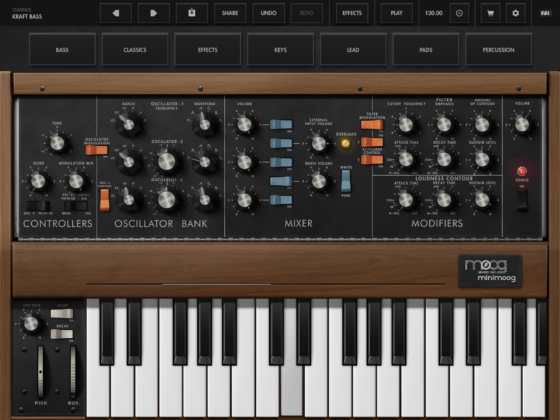 (by Moog) – Model 15-Sound. 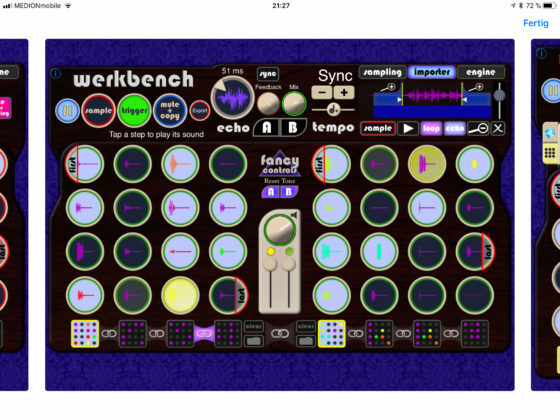 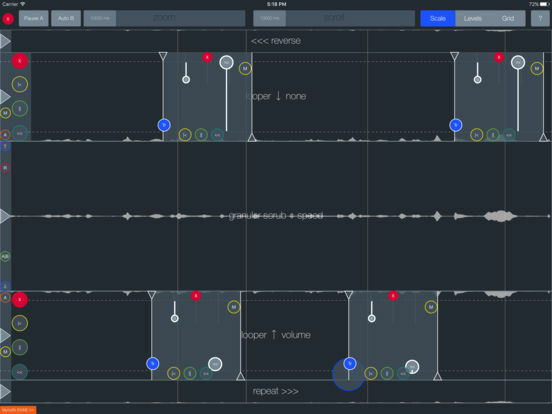 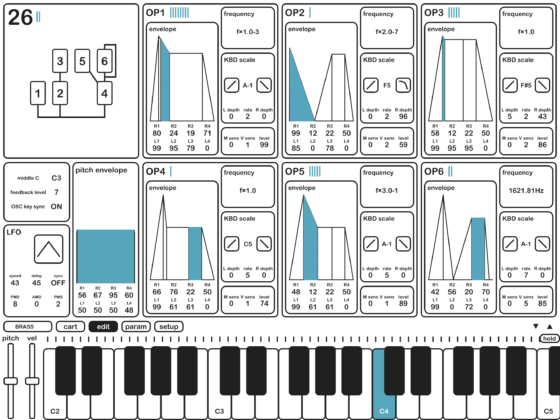 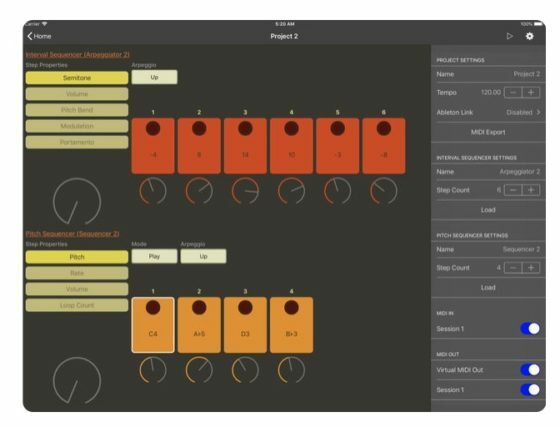 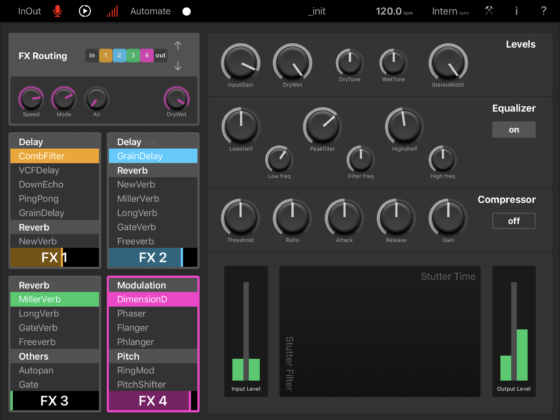 Mominstruments – Elastic Fx – iOs 7 iPad Quad Effects Machine – allows real time control in a 2D-pad way and lets you route them individually by „structures“..
Soundfruuze Looper / Live Granular Sampler App (iOs) – just in time loop creation! 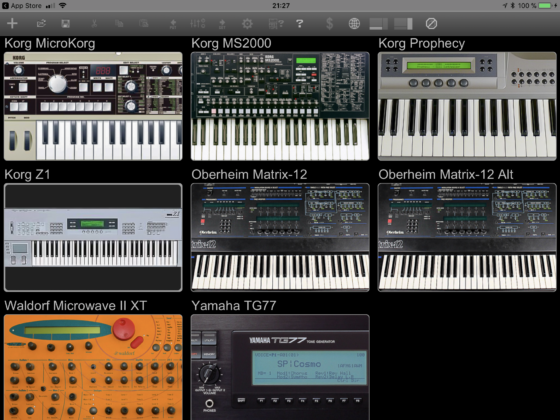 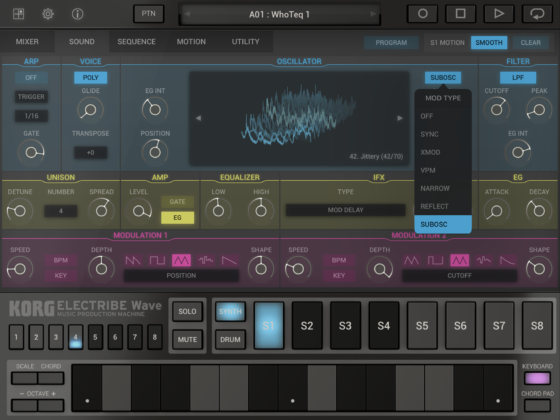 Musotalk Videocast Aktuelle Synth-Themen – zB: Korg iMonopoly und Co.
2 OSCs samples 128MB max. 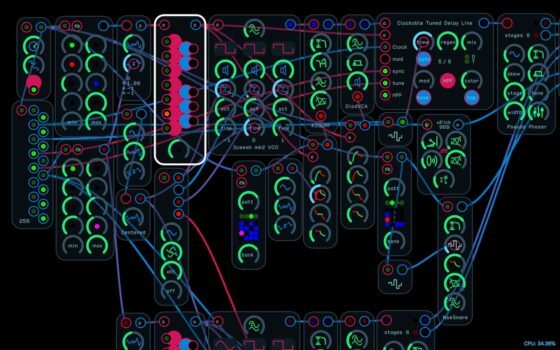 rompler 32MB, 99 LFOs, 99 EGs, 2 FILTERs (1-4pole), workstation sequencer, arpeggiator more..
the chinese invented the midi widi?..